With a choice of studio style or open plan one bedroom options, Astelia Apartment Hotel combines space, value and location. Each apartment has everything a hotel offers plus in-room laundry facilities, SKY TV and full kitchenettes. Astelia is located in the shopping quarter of Willis Street. This offers handy access to the entertainment and café culture of Cuba Street and dining out and nightlife options of Courtenay Place. Astelia is a short walking commute to the business district. 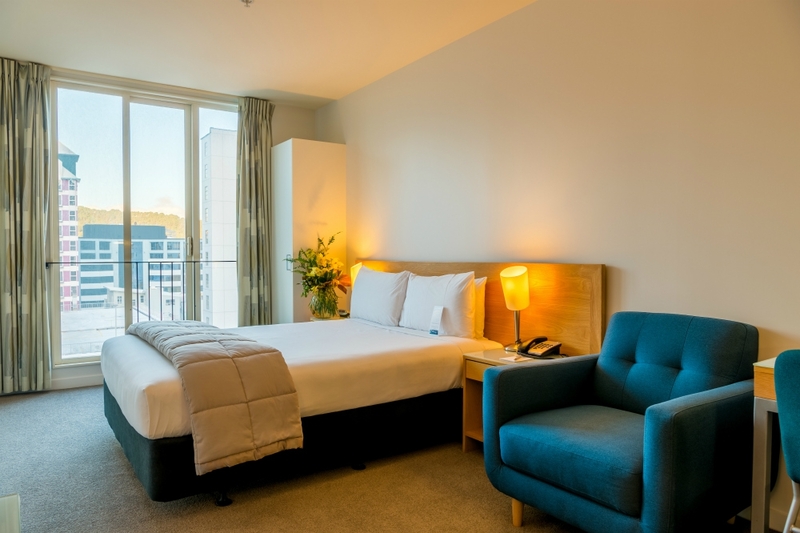 Take a stroll along the waterfront or a look around Te Papa Museum, just a 15 minute walk from your apartment.